Managing the Most Complex Births. There is so much data that accompanies the most challenging births. Doppler, Fetal LUTO, the heartbeats and vital signs of the mother and multiple fetuses. Even for the highly trained physicians who care for these births, the data in overwhelming. And yet physicians must make sense of it all, comparing hundreds of statistically similar cases to make the right call. 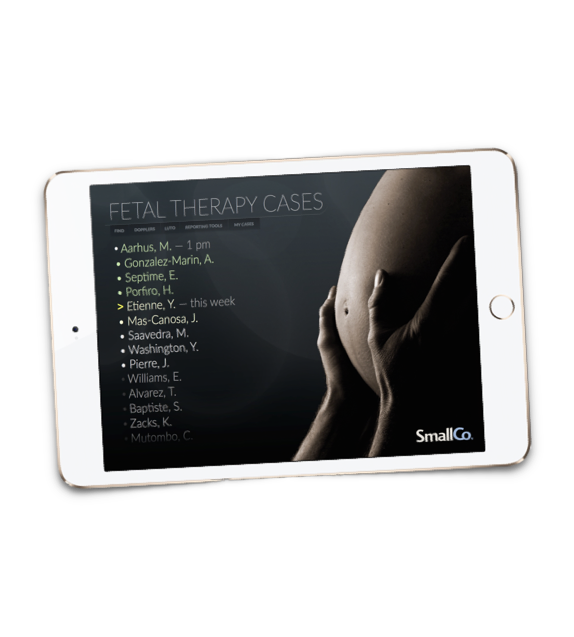 SmallCo helped a team of physicians build the app that supported these most difficult decisions.